Yorkshire 5-151 (David Miller 39*, Adil Rashid 36*, Dilshan Munaweera 3-32) beat Uva Next 7-150 (Thilina Kandamby 29*, Shivnarine Chanderpaul 27, Moin Ashraf 2-29) by 5 wickets. 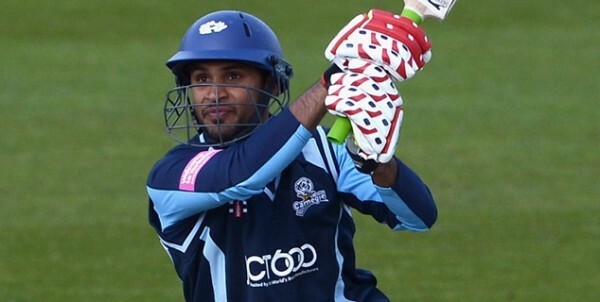 An all round performance from Adil Rashid led Yorkshire to a comfortable victory against Uva Next in the opening qualifying match of the CLT20. Uva Next scored 150 runs after losing seven wickets in the metered 20 overs and Yorkshire achieved the target by smashing 151 runs in 19.3 overs. Adil Rashid (Yorkshire) was declared ‘Player of the match’ for his responsible unbeaten innings of 36 and he also claimed one wicket. The inaugural qualifying match of the Champions League Twenty20 was played on Tuesday, October 9, 2012, at New Wanderers Stadium, Johannesburg. Andrew Gale, the skipper of Yorkshire, was lucky with the toss and offered the batting to Uva Next who had a reasonable, good start. The innings was initiated by Dilshan Munaweera and Bhanuka Rajapaksa in an attacking style as the first hit two fours in the second over followed by a six in the next over. They enhanced the score to 42 in 5.2 overs when Munaweera was gone after scoring 22 off 19 balls with 1 six and 3 fours. The innings of Rajapaksa did not last longer and he was clean bowled by Adil Rashid for 24 off 21 with 1 six and 2 fours as the total touched 56. The seasoned batsman, Shivnarine Chanderpaul, steadied the innings with Andrew McDonald and they shared a 38 runs partnership for the third wicket as McDonald was caught by Gary Ballance at long on off Azeem Rafiq for 17. The captain of Uva Next, Thilina Kandambay was dropped on the 3rd ball of the 13th over as Chanderpaul was caught behind by the wicketkeeper Dan Hodgson off Steven Patterson for 27 off 23 with 3 fours. Kandambay got another life on the first ball of the next over and he utilised the chance admirably. He remained unbeaten for 29 off 22 with 1 six and 2 fours as Uva Next managed 150 runs with three wickets in hand at the end of the 20th over. Steven Patterson and Moin Ashraf were the top wicket takers with two wickets each whereas Ryan Sidebottom, Azeem Rafiq and Adil Rashid shared one wicket each. Yorkshire lost Andrew Gale for 13 as the score reached 15 when Phil Jaques and Joe Root tried to consolidate the innings. Jaques was the most attacking of the two and dispatched 3 fours in the third over. The score was lifted to 47 in 4.5 overs when Root lost his wicket for 11 runs. Jaques became the fourth victim at 66 at his personal contribution of 32 off just 21 balls with 5 fours. David Miller and Adil Rasheed took over the responsibility of moving towards the target and the hundred of the innings was attained in the 15th over. Miller was hit on the face by a fast delivery at the second ball off the 13th over bowled by Umar Gul and was retired hurt at 22 runs. Dan Hodgson came in next and carried on marching toward the victory with Rashid. Yorkshire required 48 runs from the last 30 deliveries as Rashid was dropped at deep midwicket by Rajapaksa off Munaweera on the fifth ball of the 17th over at 22 runs. Hodgson was the fifth batsman who went back to the pavilion for 18 as the score board displayed 133 runs in 18.2 overs. Miller came in the centre again at a critical stage of the match when 18 runs were still needed to win the encounter on 10 balls. Miller hit 14 runs on the next three deliveries with 1 six and 2 fours and stole a single on the third ball of the following over as Yorkshire reached 151 runs with three balls to spare. David Miller secured his wicket for 39 off 29 with 1 six and 4 fours whereas Adil Rashid was at the other end at 36 off 30 comprising 1 six and 2 fours. Dilshan Munaweera was the highest wicket taker with three whereas Sachithra Senanayake and Charith Jayampathi claimed one wicket each. Yorkshire won the match with a big margin of five wickets and earned two valuable points.